The Truth, Justice and Healing Council provided the following four volumes to the Australian Catholic Bishops Conference and Catholic Religious Australia. The advice helped shape the Church’s response to the recommendations of the Royal Commission into Institutional Responses to Child Sexual Abuse. The decision on when and if these reports will be made public will be determined by the Church leadership. The Royal Commission into Institutional Responses to Child Sexual Abuse has investigated how organisations such as the Catholic Church responded to victims and allegations of child sexual abuse over the past decades. 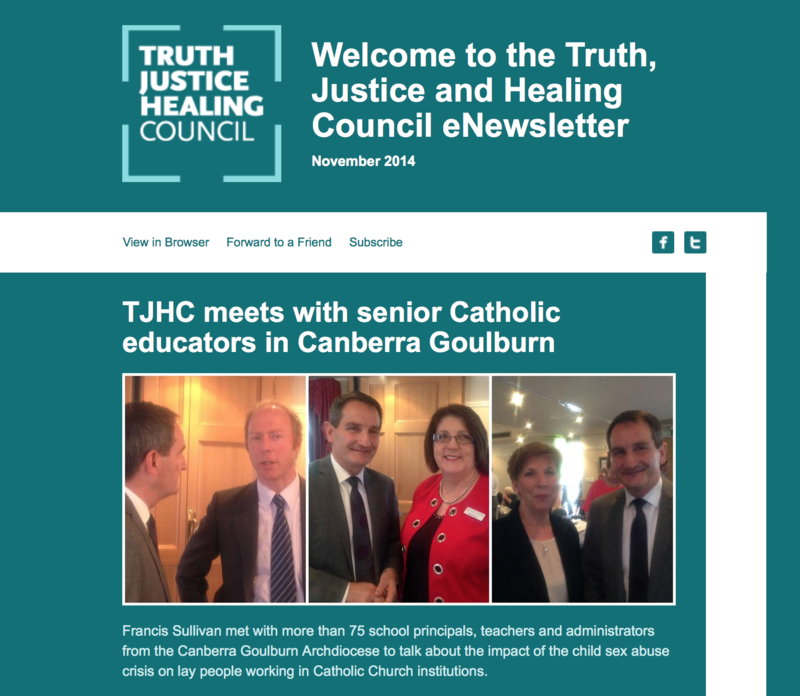 The Truth Justice and Healing Council was established by the leadership of the Catholic Church to co-ordinate the Church's response to the Commission, to help develop the Church's reform agenda and to act as the public voice of the Church during the life of the Commission. The Report was released publicly on the same day. The leaders of the Catholic Church in Australia in its submissions to the Royal Commission and in its communications with both the Catholic and broader communities have made a commitment recognising and acknowledging the crimes of the past and the devastating harm caused by child sexual abuse. In the statement Church leaders commit to repairing the past wrongs, listening to and hearing survivors, putting their needs first and doing everything possible to ensure a safer future for children.